Production Proof for But Wait, There’s More! Check out the first sneak peek of what our upcoming release, But Wait, There’s More! will look like in it’s full glory! Sadly, it won’t be in stores in time for Christmas, but it most certainly will be available soon after that, so save your Christmas money and grab yourself a great game when it does hit shelves! The episode where I become the King of Canada! Jay and I were interviewed recently on the Boards Alive Podcast, a fun show by fellow Canadians, Quinten (who regularly beats me at Star Realms online) and Aaron. 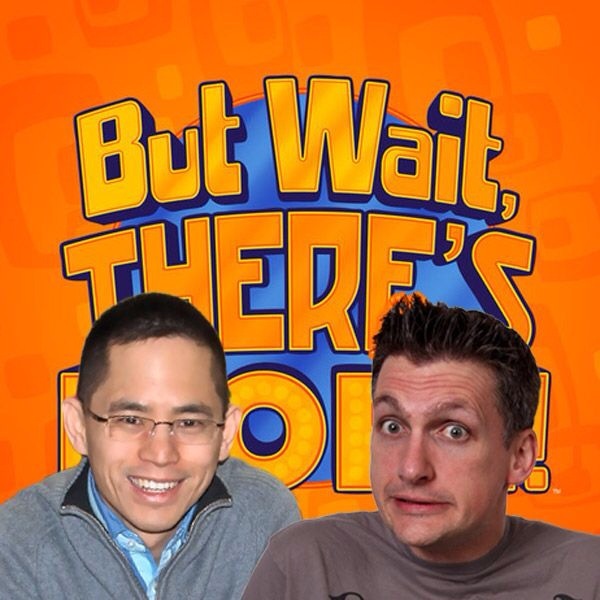 Check out this episode and come back for more from these two BC boys! News just broke today that our new game, But Wait There’s More will not make it in time for Christmas! So if you’ve been thinking that would make the perfect Christmas present for pretty much everyone on your list – well, you’d be right – but you’re going to have to wait until next year before you can give it to them! Apparently China was having a tough time finding 30-second timers and that held up production. This puts us back a few weeks for delivery to all the Kickstarter backers and a few more weeks to retail stores. But this gives us something to spend all our Christmas money presents on right? Right?! We here at Inspiration to Publication want to share stories from other designers about their process of getting their games published. So if you are a designer and you have a story – we want to hear it! Please contact us and we’ll figure it out. 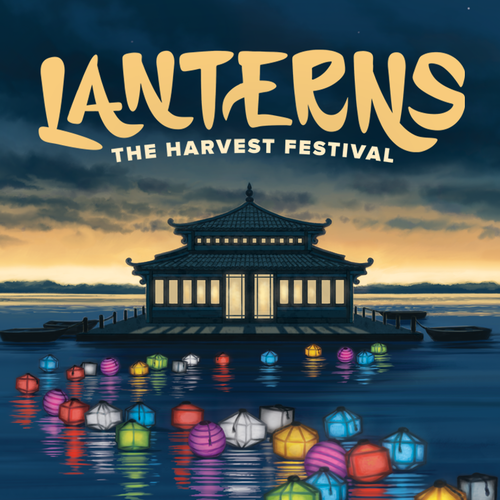 Here’s a guest post by fellow game designer, Patrick Lysaght. Patrick took us through his impressions of attending Origins as a designer – which was quite insightful. Today is an exciting day for Patrick because his game has launched on Kickstarter! Let’s see what time does to a game design. Glory & Riches launched on KickStarter this morning. By the time the campaign is over, the design will be two years old. It will be another 6 months or so until the game hits shelves. At this point, the primary changes will be the final cuts with art/layout. Reflecting on the development of the game over the last week brought something important to my attention. Waiting for something to happen is not wasted time, it is a critical element in the refinement process. When an idea is fresh and new, the creative process consumes your brain. You rapidly innovate, solve problems, and face large challenges. If a design show potential, you transition into a development phases where the problems become simultaneously smaller and harder. A primary example in Glory & Riches was the balance between the strength of Economic Expansion mechanisms and Military Conquest mechanisms. I spent months tweaking, adjusting, pouring over minute details, and frustrating playtesters. This is essential to a solid design, but it is not fun. This second step, however, is not the waiting I am talking about. For me, this step ended around October 2013. At this point, I thought the game was done from the design standpoint. Effectively, I stopped working on the game, and focused on some other things. I was ready to handoff the project to the publisher and artist. I actually thought I did. I was wrong. One day a few months later, a new layout design occurred to me out of nowhere. It elegantly solved a problem I had brute-forced with an earlier method. The new concept reduced production cost, answered playtester-feedback, and was very visually appealing. The cost of this idea was months of subconscious thought. Without that time, the game would not be as good as it is today. Another key ingredient to the power of time in game design is the outside perspective it allows you to gather. For example, Glory & Riches is a resource-management and area control game. Early on, it suffered from the first-player initiative problem. Going first conveyed too powerful of an advantage. I developed a system which reprogrammed turn order based on geographical control. I solved the problem…too well. The game exploded from 2 to 4 hours. Players could not sustain any gains. I reverted to the original scheme out of a desire for simplicity and gameplay. Then the breakthrough came. Months later in a meeting with the publisher (Jolly Roger Games), the owner suggested an auction format. This simultaneously resolved the initiative problem, increased player agency, and balanced the value of resources in the game’s final phase. He didn’t see all of those elements at the time, but his suggestion made the instant connection in my mind. I couldn’t have arrived at that point without outside input. Importantly, this meeting happened a month after the initial target date for the KickStarter. The delay afforded insight, and produced a much better product. From what I have gathered, 2-3 years has become a standard cradle-to-shelf window. When I started, I thought it could move much faster. If I could have rushed it through the process, I probably would have. I’m glad I didn’t. I am proud of the finished product. I hope that you will enjoy playing it as much as I do. Give your game time to age into maturity. You will be surprised how much a few extra months can improve it. Here’s the link to support Glory & Riches on Kickstarter! It’s been a wonderful couple of weeks here as I’ve received a bunch of Kickstarter games in the mail! Yeehaw! I played a quick round of Cinelinx and I think I’m going to have a lot of fun with my movie friends! It’s an interesting party games where you play cards that have movies, actors, genres, and directors on them – next to each other – but only if they have something in common. It was more head scratchy than I thought it was going to be. You can now get your own copy here. I also got Progress and Tiny Epic Kingdom in the mail – and both look really great. I am just reading the rules right now but I’m excited to dig into both asap! 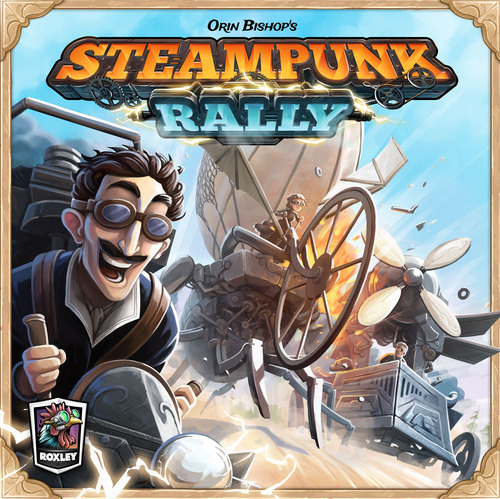 Steampunk Rally from Roxley Games and designed by Orin Bishop. This is one of the most impressive and professional Kickstarter campaigns I have ever seen. It’s obvious that Roxley has spent a lot of time observing how other Kickstarter campaigns work and seems to be doing everything right! On top of that, the game looks super cool! A steampunk game that is actually a steampunk game!! It’s not just a tacked on theme. Definitely check this one out! As I write, the game is at $37,000 of its $42,000 goal – and with 25 days to go, it’s obviously going to knock that out of the park. I’m pretty sure we’ll hit all the stretch goals that are announced too – so I hope Roxley is coming up with more! So, which games have I missed that are worth checking out?